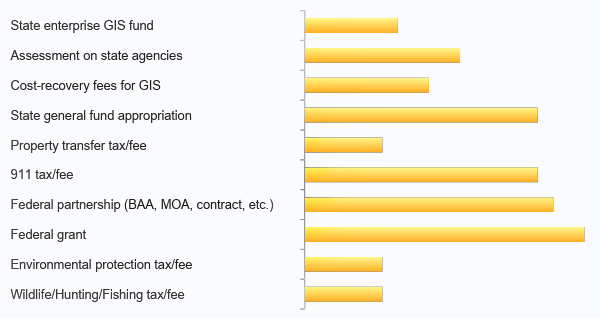 The NSGIC Geospatial Maturity Assessment (GMA) provides NSGIC members, sponsors, and other partners with a summary of geospatial initiatives, capabilities, and issues within and across state governments. This information is intended to assist state governments with setting goals, identifying peer states for collaboration, identifying areas requiring attention, and connecting with opportunities and resources. Completing the GMA also offers state governments a chance to reflect on their geospatial strategy, operations, and progress. The assessment is performed every two years. The current assessment results were obtained in the second half of 2017. 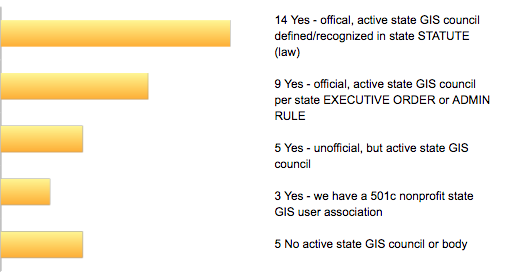 A strong indicator of a state’s geospatial maturity is an established GIO position. Eighty-three percent of states indicated a figure acting in this capacity; noting, however, that individual may hold an alternate title. 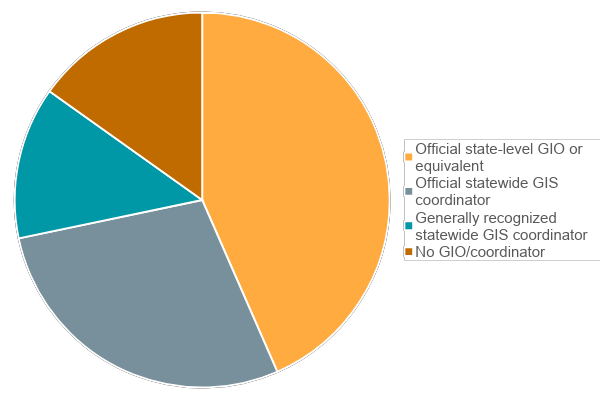 Forty-three percent of states identified an official, state-level GIO. 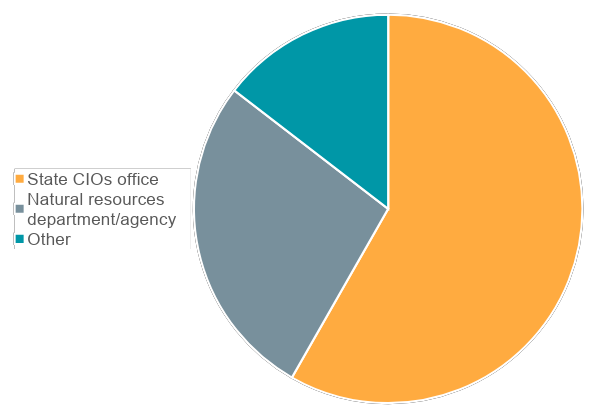 For 59% of states, the GIO “sits” in the state CIO office/department. Another strong indicator of geospatial maturity is the existence of a coordinating council focused on GIS and geospatial priorities, issues, and challenges. Review the 2017 GMA abbreviated results, full summary results, or individual state results. For more information about the GMA, contact NSGIC Geospatial Programs Manager Jamie Chesser.